Encore Broadcast Solutions was founded in 1992 in Tampa, Florida as a small reseller of consignment audio visual equipment. Shortly thereafter we picked up new lines and quickly became a trusted dealer for hundreds of manufacturers such as JVC and Panasonic. With the bar set high we expanded in 1996 to open a branch office in Winter Springs, Florida (near Orlando). Now with even greater determination and strong personnel we further built elite partnerships propelling both offices into the Systems Integration world. We swiftly embarked on broadcast studio TV systems for the K-12 schools throughout Florida. Our focus broadened further to include houses of worship, government markets, corporate, sports, entertainment and healthcare. Then in 2002 we opened an additional branch in Chattanooga, Tennessee to better serve our growing customer base, now worldwide. We are also very proud to be a State of Florida certified Woman-Owned Business. Mindful consideration is always taken when selecting employees for our Encore team. Most of us have been with Encore since its inception, always increasing our team’s experience in the AV industry. Built on a foundation of hard working people and teamwork with remarkable clients and vendors, today we are an elite AV provider and integrator in high demand. We have the capability to design, engineer, project manage, integrate, train and support all of your company’s audio, video and lighting demands while representing hundreds of top manufacturers. Our priority is to deliver custom, cost-effective, intelligent turnkey designs, product and installation while keeping the focus on our customers’ goals and budgets. Encore has seen the AV landscape evolve tremendously throughout our history and has adapted beyond expectations…transitions from SD to HD video, recording media from tape to P2/SDcard, cloud-based delivery and storage, and analog cabling to fiber-based signal distribution just to name a few. We understand that our customer has the desire to stay cutting-edge and forward-minded to ensure that requirements are met with high-end product along with unbeatable design, integration, installation and service. Encore believes Experience Empowers Excellence and we commit to take every step necessary to not only meet but surpass the needs of our customers before, during and after the sale. This pledge has fostered long-standing relationships making customer referrals our best form of advertising. You will not just receive a box from Encore. You will have a solution! 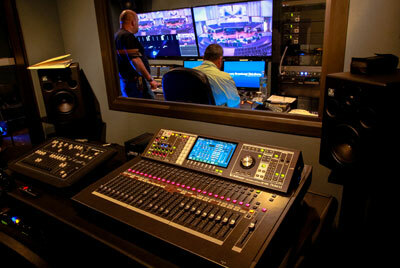 At Encore Broadcast Solutions our mission is bridging cutting edge technology with teamwork and dedication. We provide a fundamental link between technology that enhances and you, the customer. We know it is our job to be the solid foundation so the client will feel at ease knowing they have support throughout the entire life of their project and beyond. Through continuing education and experience in an ever-changing industry, along with effective communication with our customers, we form a unified team. We value and dedicate ourselves to exceptional service, innovation, honesty and integrity. 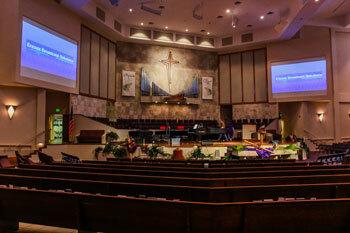 It is our purpose to design, integrate and maintain all your AV needs while helping bring your vision to life!